THE WORLD'S LEADING NON-INVASIVE PRENATAL TESTING TECHNOLOGY NEW LOWER PRICE FOR A LIMITED TIME ONLY! The Ninalia by Eurofins Biomnis uses the leading Illumina technology for the testing of trisomies 13, 18, 21, and has an extremely low failure rate. The test can be performed from only 10 weeks of gestation and uses one tube of maternal blood, eliminating any risk of miscarriage, or other adverse outcomes that are associated with invasive testing procedures such as amniocentesis or chorionic villus sampling (CVS). The blood sample will have to be taken by a physician, who will also need to sign the test request form and the information and consent forms included in the test kit. For more information and to see a sample of the results report,click here. Important: Before ordering and paying for the test and kit, please ensure that your physician is able to support you in the NIPT process. We make the process seamless for healthcare professionals and patients. Patient decides to take the test. Patient or physician orders the test kit online. The NIPT kit is shipped to the address provided by patient or physician. Patient proceeds to blood draw, the request form and informed consent form are completed by patient and physician. Blood sample and test request form are sent back to lab on the same day as blood draw. Lab processes and analyses the sample. Test results are sent to the requesting physician. Important: Sample must be delivered to Eurofins Biomnis on the same day that the blood has been drawn. You can bring the specimen to our laboratory yourself, or please call our Logistics Team on freephone 1800 252 967 to arrange collection point, free of charge. Samples can be collected nationwide. 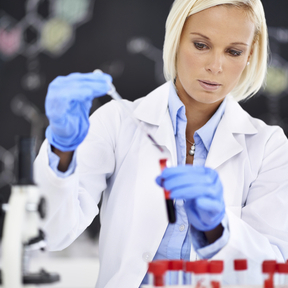 Note: To ensure sample viability for lab processing, we only accept NIPT samples on Monday, Tuesday and Wednesday. All NIPT requests must be accompanied by our patient consent and information form(D17-INTGB) / Test request form (B17-INTGB) which you will receive together with the test kit. These documents will have to be signed by both patient and physician. Non-invasive prenatal testing offers early genetic screening for chromosomal conditions using just one tube of blood, from only 10 weeks of gestation. NIPT analyses cell free foetal and maternal DNA from a maternal blood sample to screen for common chromosome conditions including trisomy 21 (Down syndrome), trisomy 18 (Edwards syndrome), and trisomy 13 (Patau syndrome). Eurofins Biomnis is proud to offer the Ninalia NIPT which uses the leading Illumina technology. This test has an extremely low failure rate meaning that it virtually guarantees a result every time. The Ninalia non-invasive prenatal test uses just one tube of maternal blood, eliminating any risk of miscarriage, or other adverse outcomes that are associated with invasive testing procedures such as amniocentesis or chorionic villus sampling (CVS). Blood sample and test request form are sent back to lab on the same day as blood draw. Lab processes and analyses the sample. Test results are sent to the requesting physician within 8 working days. Established in 1991, Eurofins Biomnis is the leading independent provider of medical laboratory testing services to healthcare organisations throughout Ireland. Accredited to the ISO 15189 medical testing standard, we provide one the world’s most comprehensive test menus offering over 3,000 different laboratory tests to support health professionals diagnose, monitor and prevent disease. Eurofins Biomnis manages the entire supply chain from sample collection to state-of-the-art analysis and right through to online results access or reporting of results into client IT systems. Three Rock Road, Sandyford Industrial Estate, Dublin 18, D18 A4C0, Ireland.